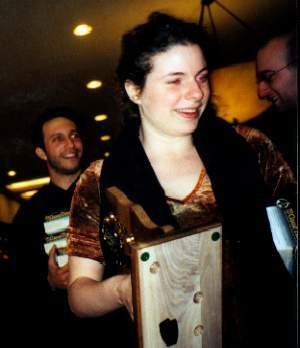 Jennifer Shahade's team, 75% Pure Shahade, finished in fifth place again at the 2000 US Amateur Team Championship East. The team consists of her father, Michael Shahade, her brother, Gregory Shahade, and Jennifer, plus one other player. UPDATE: Jennifer Shahade has won the US Woman's Chess Championship!